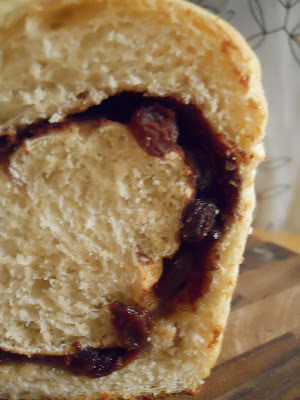 Sweet business--I got to make cinnamon raisin bread. I am so delighted by this cookbook, which was a gift from two dear friends of ours. They came to visit us this summer, and we ate oysters (okay I ate oysters, and they ate other, forgettable things) at the Zuni, we saw part of the Gay Pride parade, we went to the tower of the de Young Museum for that beautiful view, we drank tea at the Japanese Tea Garden--in other words we did lots of touristy things that you do with someone who has already seen the Golden Gate bridge and the Transamerica Tower. I actually prefer this way to play in the city. Anyway, these two friends of ours knew about my lack of confidence when it came to baking, so upon their return home they sent us this cookbook as a thank you gift. Our friends are good cooks (they have enviable raised-bed gardens in Seattle), and they swear by this book. I have come to do the same. Basically the trick is to have pre-mixed, pre-risen, high-moisture dough hanging out in your refrigerator. 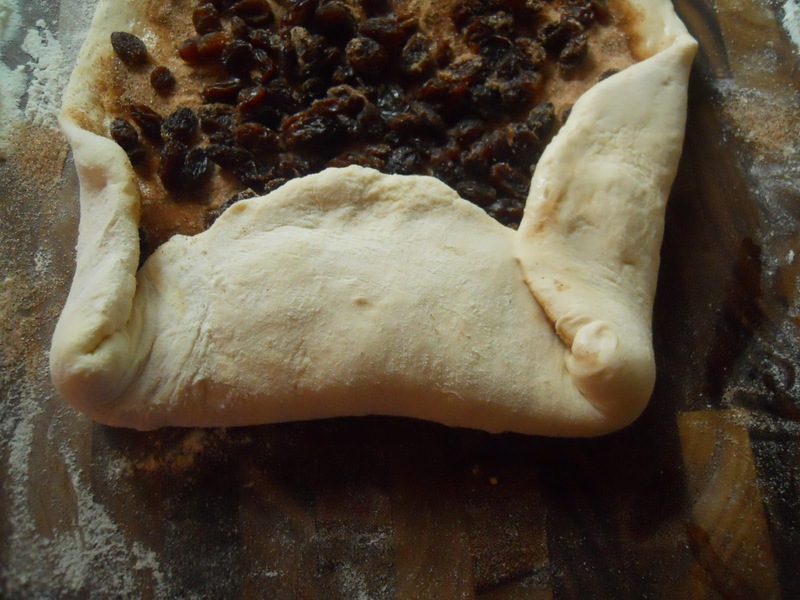 Let me repeat: you simply mix the dough without kneading it, let it rise, and then you stash it until you want to bake bread. Voila! While you do have to do some initial set up to prepare multiple loaves of bread, once you do that, you have multiple loaves of bread just waiting for you to pop them in the oven. Multiple. Loaves. Of. Bread. This means you get to have fresh, homemade bread whenever you want. 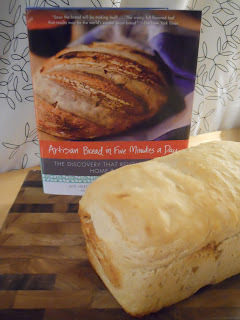 And this cookbook boasts all kinds of bread--not just the standard white, wheat, or self-righteous. [Don't look at me like that. 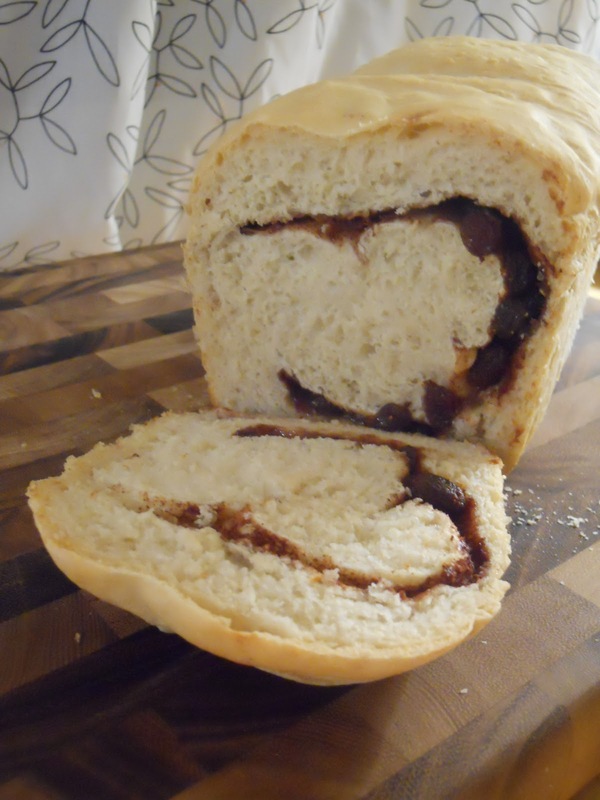 I love self-righteous bread.] Vermont Cheddar Bread, Italian Semolina Bread, Pine-Nut-Polenta Flat Bread, Oatmeal Bread, Deli-Style Rye. Okay! NOTE: The recipe below assumes, however, you don't want multiple loaves. So it's just a recipe for one loaf. To have multiple loaves, just triple it. 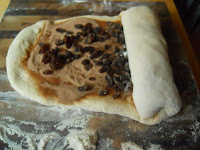 You can refrigerate the dough after step three. If you do that, then use the refrigerated dough within a week. 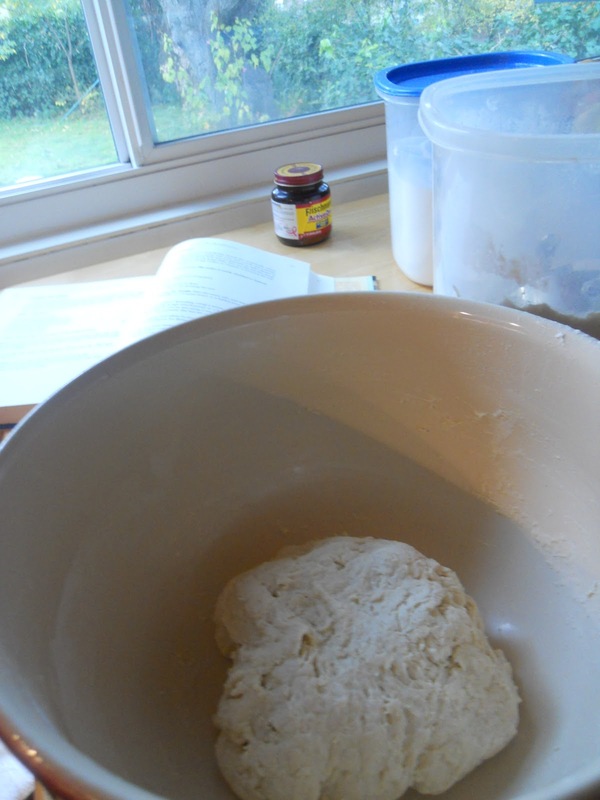 And at step eight, let the dough rise for an hour and forty minutes (not just forty minutes). It's that simple. I admit, I made multiple loaves. In part because next week, I want to bring fresh bread to work for a faculty brunch. So, I got up early this morning because I needed to go to my gym at 9 a.m. I hate working out first thing in the morning, so I set my alarm for a full two hours earlier. I puttered around the kitchen, dumping out my first batch of yeast, water, and buttermilk, because I thought the buttermilk made the environment too cold to let the yeast rise. I checked my email. Then I checked in on my yeast activating. It was all very relaxed. I got the bread rising and headed to the gym. How divine. Then I came home and finished the recipe. Not a bad way to start the weekend after a particularly grueling work week. 1. Mix the yeast, salt, and sugar with the water and buttermilk in a bowl. 2. 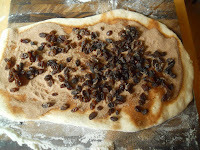 Mix in the flour without kneading, using a spoon or a food-processor or a heavy-duty stand mixer with the dough attachment. If you're not using a machine, you may need to use wet hands to incorporate the last bit of flour. 4. 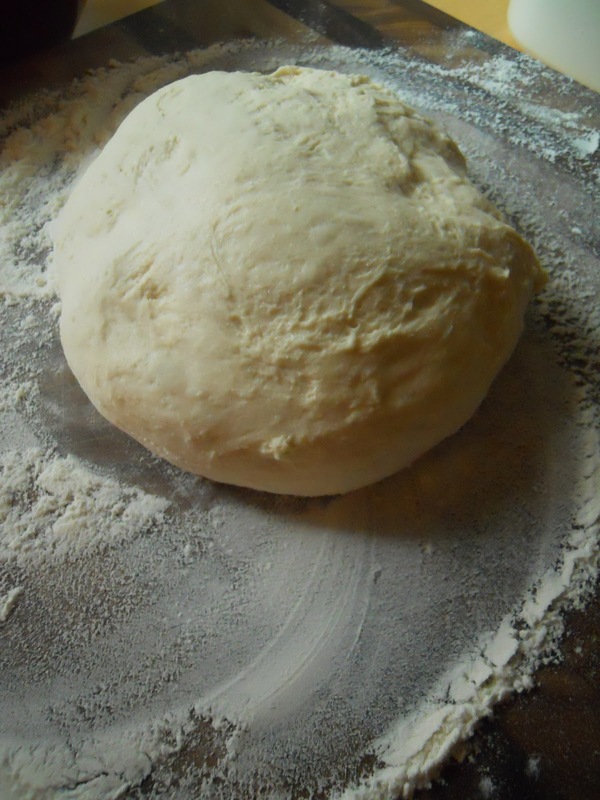 Dust the surface of the dough with flour and quickly shape it into a ball by stretching the surface of the dough around to the bottom on all for sides, rotating the ball a quarter turn as you go. 5. With a rolling pin, roll out the dough into an 8x16 inch rectangle about 1/4-inch thick, dusting the board and rolling pin with flour as needed. 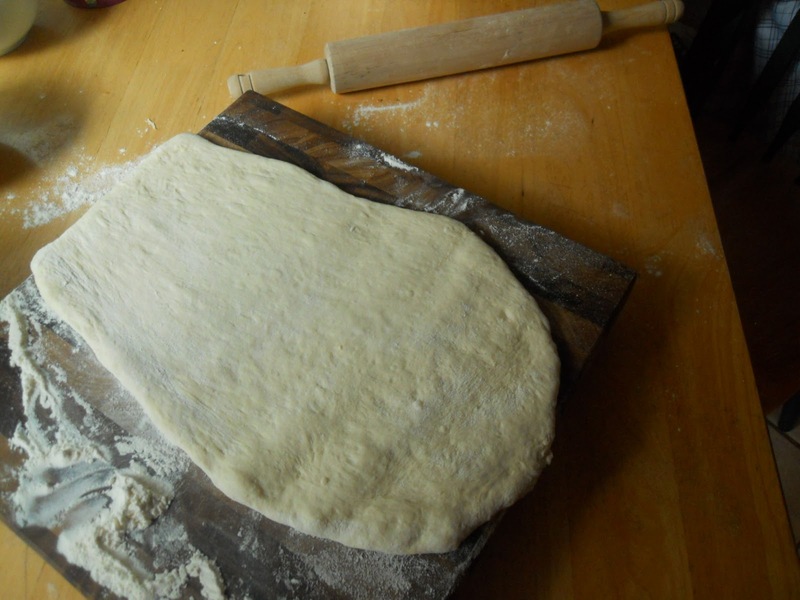 You may need to use a metal dough scraper to loosen rolled dough from the board as you are working with it. 6. Using a pastry brush, cover the surface of the dough lightly with egg wash. 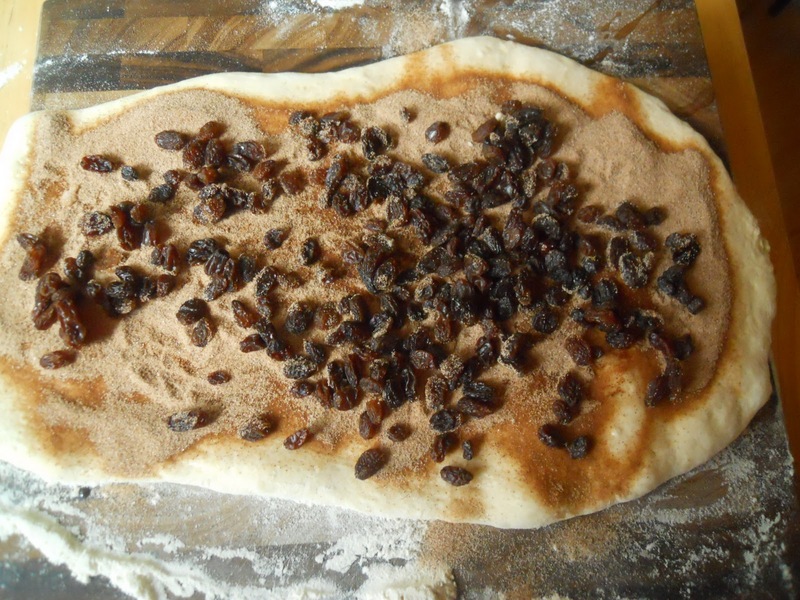 Mix together the sugar and cinnamon and sprinkle the mixture evenly over the dough. Evenly distribute the raisins. 7. Starting from the short side, roll it up jelly-roll style. Pinch the edges and ends together, tucking the ends under. 8. Lightly grease a 9x4x3 inch nonstick loaf pan. Set aside. 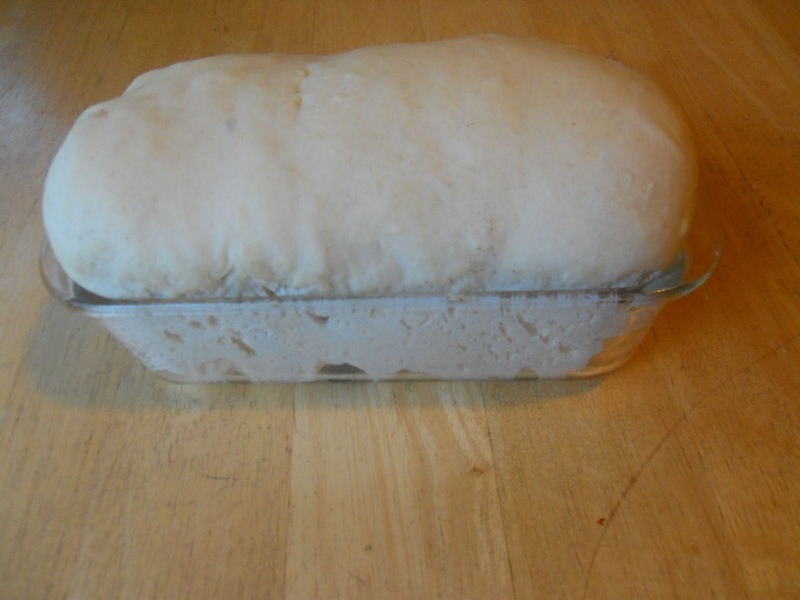 Place the loaf seam side down in the loaf pan and allow to rest for 40 minutes. 9. Preheat the oven to 375 degrees. Bake for 35-40 minutes, or until golden brown. Remove from the pan and allow to cool before slicing. Oh I can't let you have 0 comments. Since I lost so many of my cookbooks (was missing Zuni today; found panade recipe online) I will use your website as my cookbook anthology.